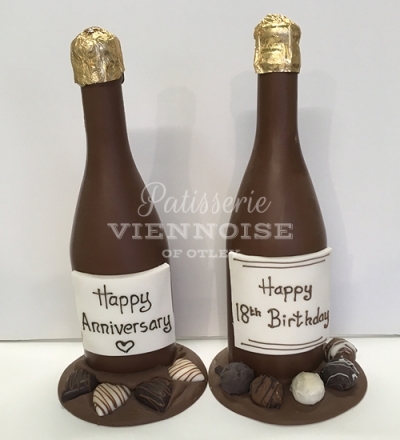 Chocolate champagne bottles filled with champagne truffles, chocolate greetings cards, handmade chocolate boxes (eat the box as well as the chocolates inside!) Chocolate dogs, cats, shoes.... the list is endless! 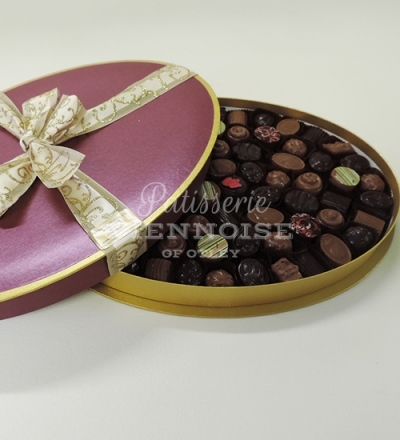 All of our chocolate gifts can be personalised with your own message to make it extra special. 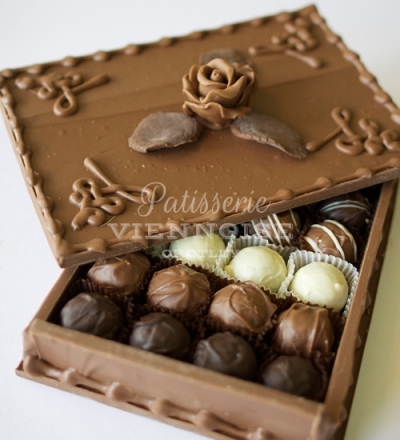 Please note that ideally we ask for one week’s notice to make these bespoke gifts.